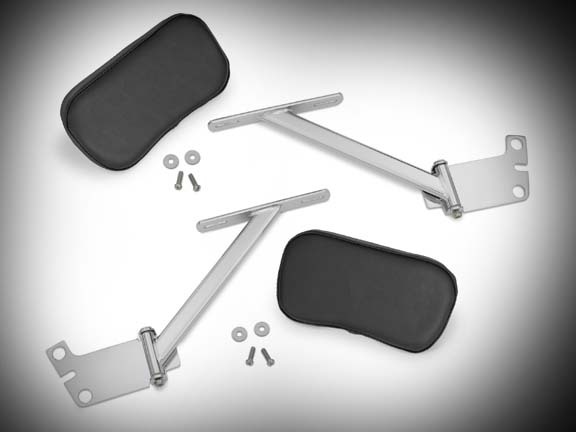 Goldwing GL1500 Passenger Armrests come with black pads and chrome mounting hardware. Each pad is about 8-1/2"L x 4-1/2"W x 2"T.
Armrests mount under antenna base. 2 antennas (CB and Radio) required to mount this set. 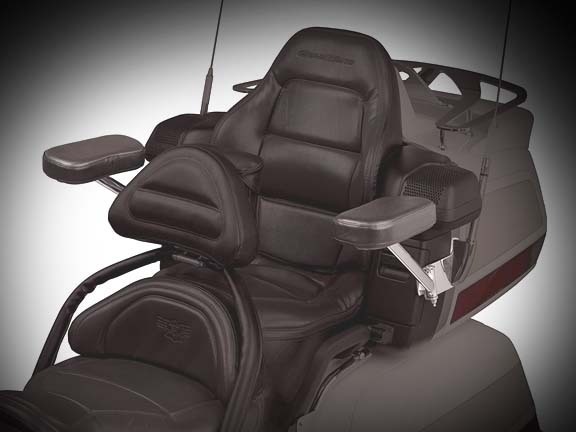 The armrests come with extented arm plates - you do not have to swing them out to open a trunk. 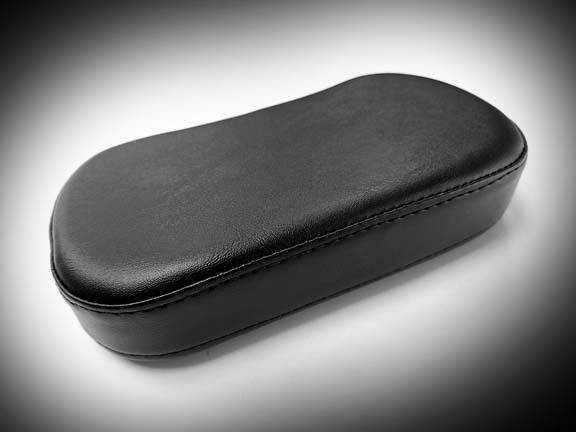 Sold as a set (left and right). 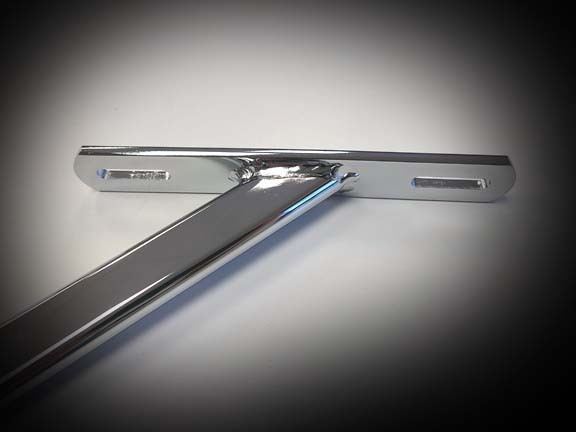 Mounting hardware and instructions incl.